The holidays are over and a new year is here. And, as always, with a new year comes a desire to create a “new you.” We’ll bet you’re fantastic just the way you are, BUT if you’re looking to make some improvements to your health, style, or home, we know just the spots. 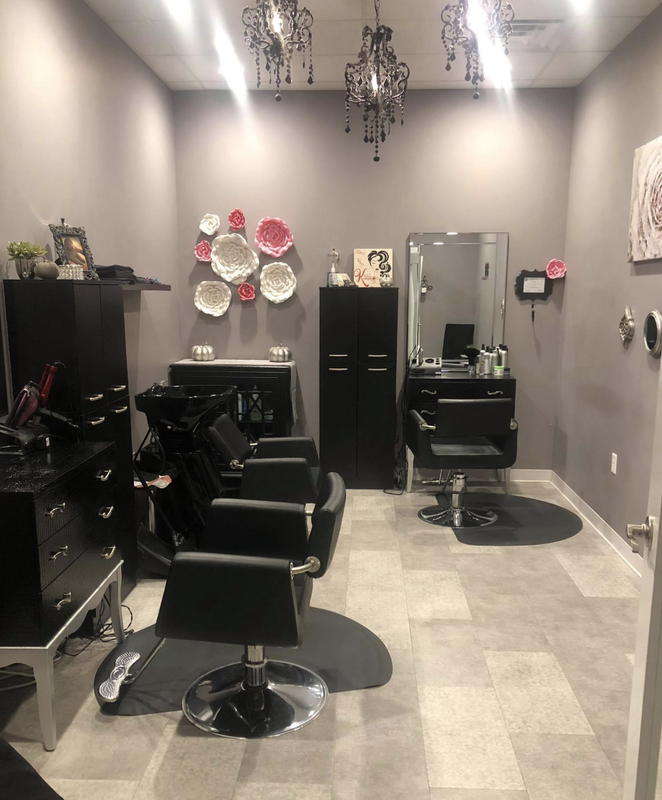 Evansville is full of local shops and services that know how to make you feel great, look great, and get your life together (all the while providing some of the friendliest customer service around!). You can find all of these local businesses on Towny. With Towny, it’s easy to explore Evansville, choose local, and get rewarded for doing so! P.S. – take Towny with you everywhere you go when you download the Towny app for your phone! Did you make a New Year’s resolution to get in shape this year? Skip the same old machines at the gym and try a workout that’s exciting and fun at Pure Barre Evansville. These full-body workout classes are low-impact and suited for just about anyone, in an environment that’s supportive and friendly. Getting in shape has never been more enjoyable! Reaching your New Year’s health goals is easy with natural health products from Adele’s Naturally. Shop through a variety of vitamins, minerals, and supplements that will improve your health and well-being. The knowledgeable staff will help you choose the perfect products for your personal wellness needs. Start off the new year right with chiropractic services from Dr. Jessica Ignacio and the experienced staff at West Side Chiropractic. They offer services such as chiropractic care, spinal and postural screenings, physiotherapy, lifestyle advice, and more to help you achieve your wellness objectives and ultimately live a better life. Whether you’re experiencing back pain or just want to live a healthier life, West Side Chiropractic will be able to offer you the advice and assistance you need. Don’t bring any stress or anxiety with you into the new year. Visit ISO Float Center for a therapeutic experience with TONS of benefits. When you enter a float tank at ISO Float Center, you are entering a relaxing space that can ease chronic pain, increase immune function, improve concentration and memory, promote an overall sense of well-being, and much, much more. In addition to exercise and eating better, medical massage is a great way to improve your health. At Massage For Your Health, expert therapist Kelly Endsley provides individualized care that can help control pain, increase the body’s ability to fight disease, lower blood pressure, and decrease inflammation. Massage therapy is so much more than a relaxation technique – it’s a powerful tool for addressing numerous health issues within your body! Want to start off the new year with a fresh new look? Ahh Spa is here to help! Get a new haircut, style, or even some highlights. Or give your skin a healthy glow with one of their innovative skin care services like dermaplaning, hydrafacials, or chemical peels. Ahh Spa also offers permanent makeup, lash lifts, and rejuvenating spa services so you can feel and look your best all around. Freshen up your wardrobe this year with women’s apparel and accessories from Lili Lu Designs. Shop trendy jackets, sweaters, jeans, beanies, and other items that will have you looking like the stylin’ lady you are. Lili Lu also does wonderful custom embroidery and monogramming for those items you’d like to personalize! “New year, new you” can be as simple as changing up your look. During the New Year’s season head to Impulse Salon and Spa for hairstyling services that help you achieve your own unique style. Not interested in changing up your hair? You can still start the new year right with a little pampering via Impulse Salon’s spa packages with facials, manicures, massages, and more. Love the skin you’re in this year with the help of Deja Vu Skin & Vein Center. Their products, treatments, and procedures are meant to make you feel confident and rejuvenated. From your head to your toes, Deja Vu can help you with skin, vein, and hair concerns so you can start the year with self-assurance. Give your home a fresh start this year with furniture and home decor from the Simply Home Store. They’ve got tons of unique treasures that you won’t find anywhere else! If you want to change things up in your space or simply make your rooms a little more homey, Simply Home Store is the place to go. Maybe you gave your look a change for the new year, but did you consider giving your home an update as well? Find handmade wares, vintage finds, and home decor that are sure to bring joy and beauty to your home at The Farmhouse. The environment at The Farmhouse is calm, inviting, and really just the perfect place to find the inspiration to decorate your space. 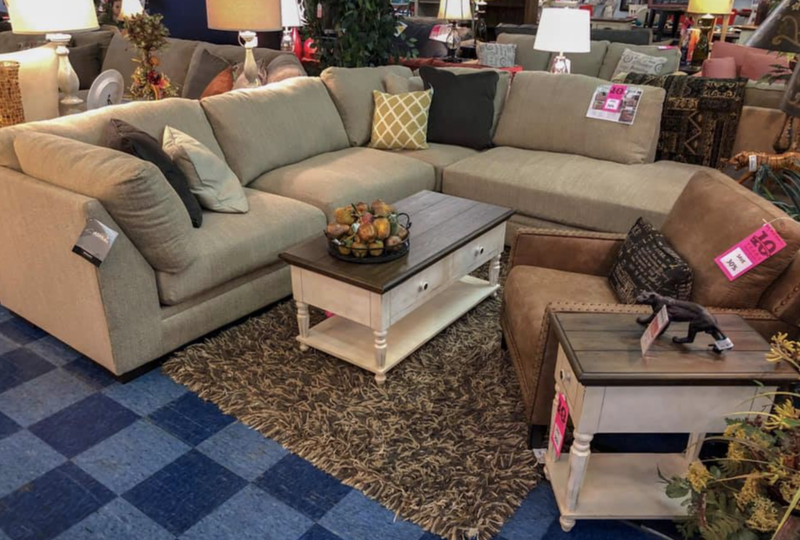 Whether you’re moving into a new house or just want to upgrade your interiors, you’ll find everything you could possibly want in furniture when you shop at Kim’s. This furniture warehouse has a large variety of new and consigned furnishings for all the rooms in your home and for a range of tastes and styles. The staff at Kim’s is friendly, helpful, and willing to make sure you find the right items to fit your needs. Worn out from working on all of those New Year’s resolutions? Replenish your energy with a tasty slice (or whole pie!) of pizza at Franklin St. Pizza Factory. With brick-oven fired crust, homemade sauce, and tons of fresh toppings to choose from, this is the pizza-experience that will have you and your taste buds doing a dance. Now that the holiday madness has settled down, take a moment to breathe, relax, and enjoy a tasty home-cooked meal from Western Ribeye & Ribs. Not only do they have some of the best ribs in town, but also they’ve got a comfortable yet elegant setting with friendly customer service where you’ll feel right at ease. Ring in the new year with a tasty bite to eat. Find all of these local Evansville area spots (+ so much more!) on Towny. With Towny, you’re helping to build a robust Evansville economy, support your neighbors, and you’re getting rewarded for doing so!